When Winooski Police Corporal Jason Nokes is arraigned on Thursday, a judge will hear about the encounter that led the cop to shoot a mentally ill man — and a grand jury to indict him on charges that include aggravated assault. But no one in the Burlington courtroom will likely hear about Nokes’ prior criminal record. Lawyers suggest details of a past drunk-driving conviction and another off-duty incident won’t be admissible in court. On April 25, Nokes shot Isaac Sage, a paranoid schizophrenic, in the leg following a scuffle in downtown Winooski that left the cop with a concussion and a broken nose. Assault charges against Sage were dropped after a state-contracted psychiatrist found him insane at the time of the incident. On July 10, a Chittenden County grand jury indicted Nokes for aggravated assault with a deadly weapon, reckless endangerment and providing false information to police investigators — a rarity in a state where cops are routinely cleared in use-of-force cases. Meanwhile, Sage has hired a well-known civil rights attorney, Robert Appel, to pursue a civil lawsuit against the City of Winooski and against Nokes personally. The confrontation started when Nokes and another officer responded to a report that Sage was harassing women inside the gym of the Woolen Mill apartment complex. When Nokes located Sage walking on West Allen Street, he asked his name. Sage refused to provide it, so Nokes took steps to handcuff him, at which point Sage swung his fist and punched Nokes in the face. After multiple Taser jolts failed to subdue Sage, Nokes drew his weapon and shot the man in the leg. The indictment is not Nokes’ first brush with the law. In 2011, state police found the off-duty cop slumped over his steering wheel in the median of Interstate 89 in Colchester with a blood alcohol content five times the legal limit. Nokes pleaded guilty and was sentenced to one year of probation for what the judge described as the most serious case of drunk driving she had ever seen. But Nokes kept his job, and Winooski Police Chief Steve McQueen refused to discuss the “discipline” he had imposed on his officer. Last week, however, McQueen released the officer’s disciplinary record in response to a public-records request by Seven Days. The memo, dated October 4, 2011, shows that Nokes received a 14-day suspension, followed by an unspecified period of desk duty, for “conduct unbecoming a police officer.” It also notes that Nokes voluntarily participated in an intensive, inpatient treatment program immediately following his arrest. In the report, McQueen wrote that Nokes had “taken full responsibility” for his actions. McQueen says Nokes is a recovering alcoholic who did a “really good job of hiding it” prior to his DUI arrest. “It never interfered with his work. No one ever reported it,” says the chief, adding that Nokes has been sober for 18 months. McQueen’s attorney, Burlington lawyer Pietro Lynn, introduced the email in the Handverger case, but the chief says he doesn’t recall that it raised a red flag at that time. McQueen says “there was no doubt” Nokes used to go out, but it did not interfere with his job. Another off-duty incident involving Nokes made headlines in 2007 and left the officer with potentially career-ending injuries. An allegedly abusive man followed his girlfriend to Nokes’ Milton home, where he slashed the cop with a Rambo-style hunting knife. Jeffrey Chamberlin was charged for the assault that severed multiple tendons in Nokes’ hand. But in 2008, Chittenden County State’s Attorney T.J. Donovan cut Chamberlin a plea deal that came with no prison time — and no criminal record if he stayed out of trouble for two years — because witnesses contradicted Nokes’ account that the knife attack was unprovoked. 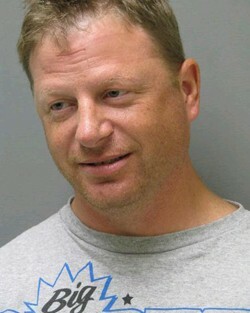 Chamberlin pleaded no contest to aggravated assault, according to news reports. According to a 2008 report from WCAX-TV, Chamberlin had facial injuries consistent with being punched and told police that he slashed Nokes in self-defense after the off-duty officer assaulted him through the window of his car. Following the incident, Chamberlin’s girlfriend sought and received a relief-from-abuse order from Chamberlin. Chamberlin did stay out of trouble for the next two years and his record was expunged as a result, leaving news reports as the only evidence of what transpired that night. Asked about that incident now, Chief McQueen responds that while his department did not investigate the slashing, there was evidence against Chamberlin. Nokes was never charged. “If I didn’t have confidence in Jason Nokes, he would not have remained an employee of the Winooski Police Department,” McQueen says. But Winooski isn’t waiting for the verdict to conduct its own review of the Sage incident. Decarreau says the city plans to hire an independent investigator — possibly a retired Vermont police official, or someone from out of state — to study the facts of the case. In the meantime, Decarreau and McQueen said they couldn’t comment on the current charges. McArthur believes Nokes was the victim in the Milton incident, and contends he was in the April scuffle with Sage as well. Three months after the shooting, Nokes still suffers from headaches and has difficulty seeing out of his left eye, according to McArthur. Appel will likely make a different argument about the relevance of Nokes’ history. He suggests the 2007 fight in Milton might be pertinent to the use of force against his client. Correction, December 14, 2017: Jeffrey Chamberlin pleaded no contest in his assault case, according to news reports. A previous version of this story contained an error. WTF: How Can You Tell When It's Safe to Venture Onto Frozen Lakes?